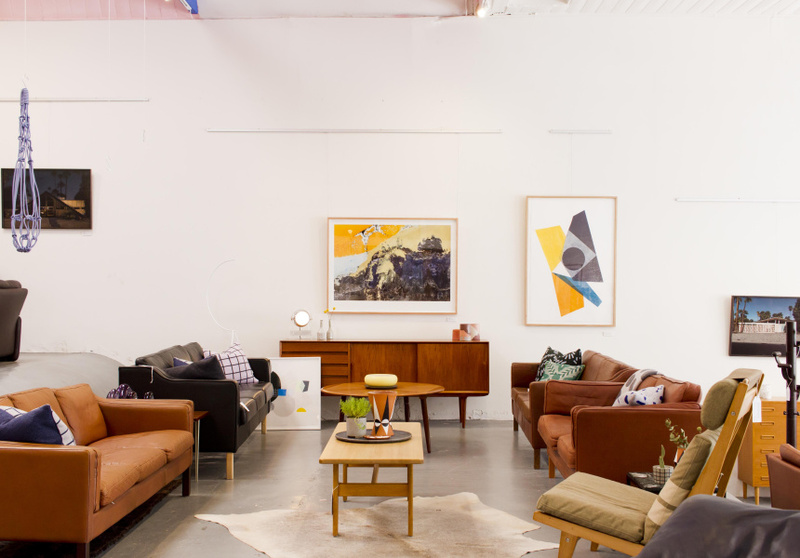 Beginning as a series of pop-up shops in 2010, Modern Times became a pillar of the Melbourne design community when it opened the doors to its Smith Street showroom in 2012. 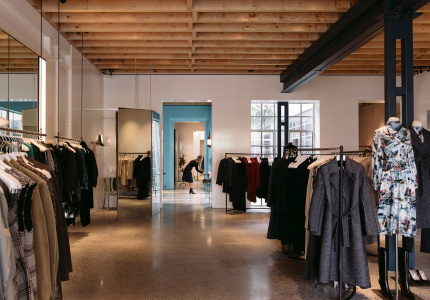 Behind the crisp white walls and striking blue branding of the shopfront is a melange of original modernist furniture and colour-heavy artworks inside. 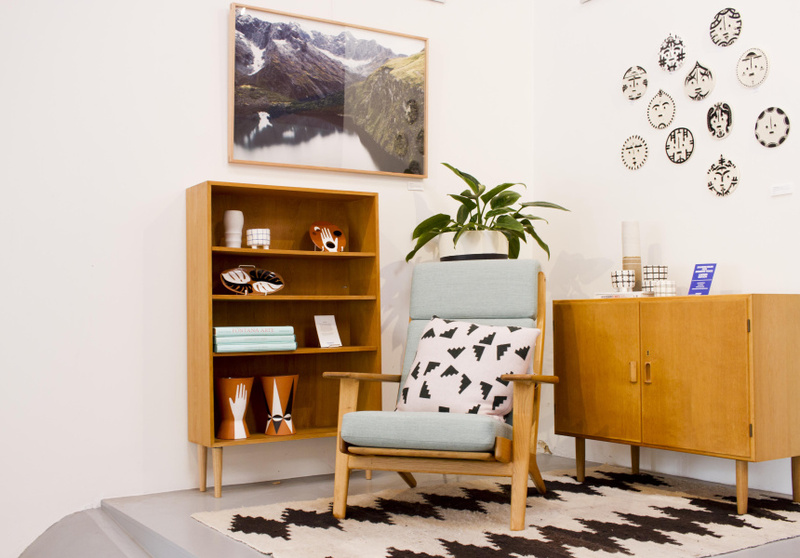 Husband-and-wife team Joel and Amy Malin source vintage furniture from Denmark, and increasingly, from other parts of Europe. The rare pieces from the 1950s and 1960s are carefully restored in-house. 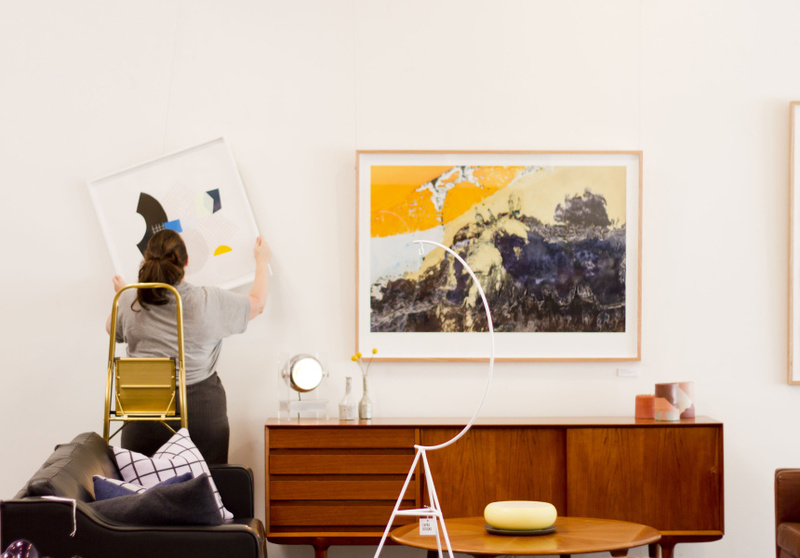 Ceramics, jewellery, textiles and prints by Australian makers and artists complement the furniture. Pampa’s handwoven rugs, StudioKyss’ concrete vessels and Katia Carletti’s cups form part of the store’s meticulous edit. The cavernous space also regularly hosts exhibitions of local artists’ work, and conversations about architecture, interiors and art.